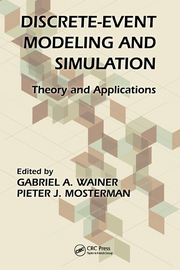 Discrete-event modelling and simulation methodologies (in Spanish). G. Wainer. Nueva Librería. 2002. Real-Time Systems: Concepts and Applications (in Spanish). G. Wainer. Nueva Librería. 1997. Estados Unidos 301 (1101). Buenos Aires. Argentina.